Getting your spouse involved in the management of family finances may be tough for some individuals, but this has its own benefits. Marriage counsellors say it is important to carry your spouse along when making financial decisions in a family. In our article last week on ‘Involving family members in saving money,’ it was stated that your ability to save is vital, but involving your family in the process is more beneficial. 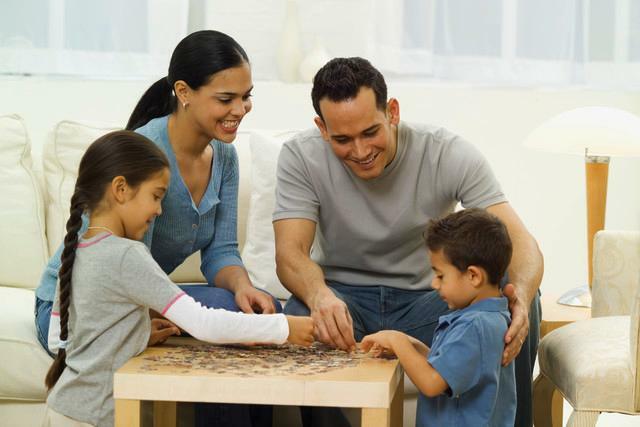 According to experts, financial security in a family doesn't come easy, but requires adequate planning and strict adherence to saving. This, however, can only be meticulously achieved when you involve your spouse in the management of your family finances. Experts say in most situations, there is an individual in the family who likes doing all that pertains to numbers and payments. This fellow pays the bills, manages the spending or cash flow, looks for great deals and works on spreadsheets, leaving his or her spouse out of the activities. But experts note that even though this individual is doing all of these things, there is still another money manager in the family. “No one person can do all the money arithmetic in a home, you have to involve your spouse and you will be surprised at his or her input,” says a marriage counsellor, Mrs. Anozie Love. She notes that your spouse might not be as involved in the day to day management of your family’s finances, and explains that this is because in many cases your spouse doesn't have knowledge of how much money is in the family’s bank account. Experts note that most times, the spouse just knows how much he or she can spend on entertainment or clothes for the month and maybe a few other budget categories at his or her disposal. This is a very important in a home, experts say. They note that spouses should budget their money together each month as this will boost their savings and will trim unnecessary expenses when shrewdly done. Even though you have fixed spending in place, there are still planning decisions to be made each month for discretionary spending, marriage counsellors say. One thing you must understand is that your spouse doesn't have to be necessarily involved in the day to day finances at the level of detail as you may have, but should have knowledge of the resources and how they’re being used. When this is done, he or she will appreciate it if undertaken for mutually gainful reasons. According to experts, it is also important you review expenses incurred by the family occasionally. This could be on a weekly or biweekly basis. Professionals say while the monthly meeting is important, so is a weekly meeting about money. They note that all that this requires is a review of spending for the major budget categories and a discussion around new significant expenses needed for the month. It could be seen as a status meeting for both spouses. You may not know how much you are saving for your family by doing this until your spouse is not around. If you want to take it to the next step, you can write down the balances of the major budget categories for your spouse so he or she knows the overall state of the spending plan. “This also has a way of unifying the family, especially the couples,” Anozie adds. Let your spouse pay some of the bills. If your spouse usually is not the one who pays the bill, allow him or her give it a try for some time, but be willing to offer help if necessary. Experts say this will give your spouse a better understanding and appreciation of how important it is to be involved in the decision making process of your family’s finances. Allow your spouse to pay some of the monthly bills, but don’t overload the person who doesn't normally do this work for the family. You may give him or her a few key bills to manage, as this is a great way to involve the person and for your spouse to feel fulfilled being a good financial steward that contributes to the family. This should not be left to one person. Engage your spouse in the maths. Allow him or her to try and calculate how the family would thrive on a limited sum for a week or month. If your spouse still can’t see the importance of his or her participation in the financial decision making, sit down together and look at your budget or create a budget if there is none. When the numbers are right there in front of your eyes, it’s easier to be involved in the family finances. He or she will be forced to make inputs, provided you are both in good terms at the time of working on the family budget. Can two walk together, except they be agreed? (Amos 3:3, KJV). Two are better than one, because they have a good return for their work: (Ecclesiastes 4:9, NIV). Think about these wise words. In the next post, we shall look at ‘the pros and cons of stocks versus real estate’.